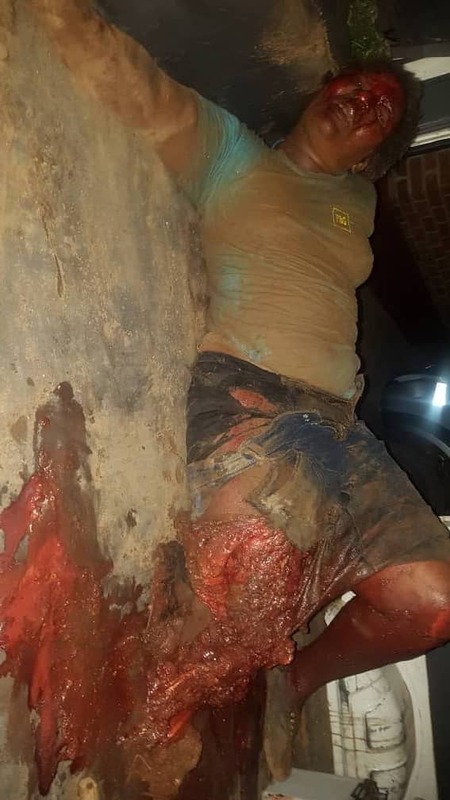 MWENEZI - A grisly scene was witnessed last week Tuesday night after a stationary kombi was hit by a cross border bus trailer, forcing it into a group of vendors selling their wares on the roadside. A total of eight people sustained varying degrees of injuries, some of them horrible to see. The accident, which happened at around 22:00hrs, left a vendor critically injured on her leg which was completely crushed. The trailer of the MB Transport Bus, registration number ABQ 5575, hit the kombi which was parked on the side of the road leading to the mishap. The kombi driver, Gerald June who was coming from Beitbridge, said he was hit from behind while parked to drop some passengers. “I was carrying a total of nine passengers and six of them were injured and ferried to hospital together with the two vendors. “I had not engaged the handbrake so I managed to have some control over the vehicle for the around 40 metres that we got moved by the impact of the crash. If I had parked the car with a handbrake, I am sure we could have been squashed inside,” said June. The bus driver, Mutanga Hamandishe, said he swerved off the road to avoid a possible head-on collision with an oncoming truck. “There was an oncoming truck which was being disturbed by a cow in the middle of the road. 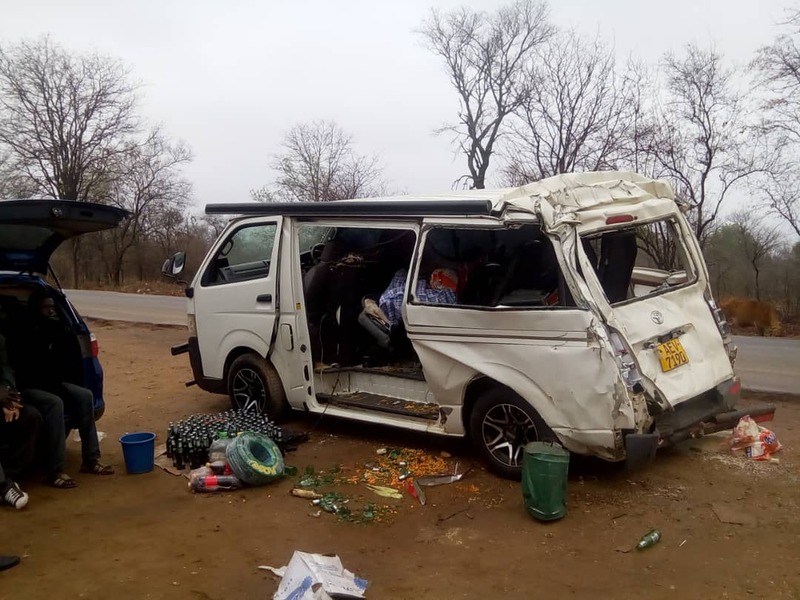 To avoid a head-on collision, I slightly went off the road and as I tried to move back onto the road, the trailer did not fully comply due to the load, resulting in the accident,” said Hamandishe. All the injured people were ferried to Neshuro District Hospital while two others were very critical were further referred to Masvingo Provincial Hospital. Towards the end of last year, a vehicle ran over vendors at the same spot.